Our business is about our clients, their homes, their families, their lives. Purchasing a home is more than a business transaction to you. At Tennessee Valley Property Inspections, we are committed to providing assurance that your home is not only a sound investment but, more importantly, a safe place for your family to live. You want to feel secure in your purchase. We offer that peace of mind. Since 2004, Tennessee Valley Property Inspections has been providing professional home inspections for buyers and sellers in middle Tennessee. We understand that once you have a signed contract, time is of the essence. Daylight permitting, we are available at non-typical business hours as well as Saturdays, if necessary, to accommodate your schedule. Our inspectors are licensed by the state of Tennessee and are fully insured. 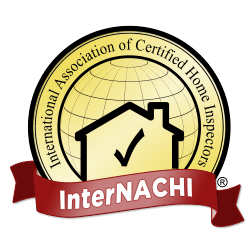 We are members in good standing of the International Association of Certified Home Inspectors (InterNACHI), and operate under their standards of practice. Through continuing education courses, we expand and fine tune our home inspection proficiency.